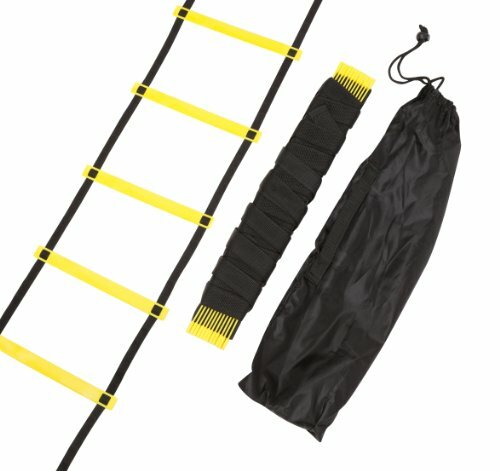 This 12-rung agility training ladder in black and yellow is perfect for the aspiring athlete. The key to success on game day is putting in the hours of hard work on the days between. This item is perfect to improve footwork, foot speed and balance. A necessary practice addition for athletes of any sport. View More In Agility Ladders.